evo fabuloso in chestnut enhances your light to medium hair with lovely chestnut tones, repairing, nourishing and intensifying the colour. 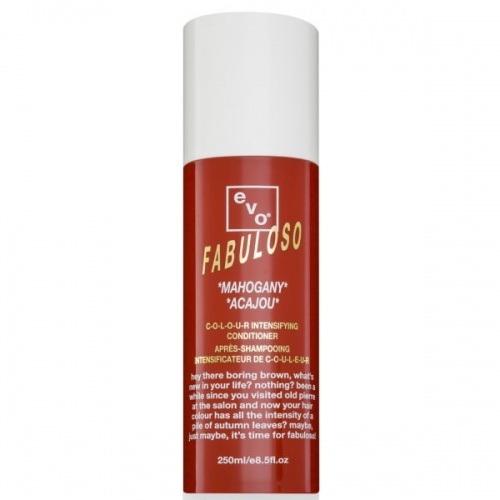 Reduces frizz with a brilliant shine while maintaining your hair's moisture balance. Dierctions: Shampoo prior to use. Leave conditioner on anywhere between 5-20 minutes. The longer you leave on the more intense the colour will be.